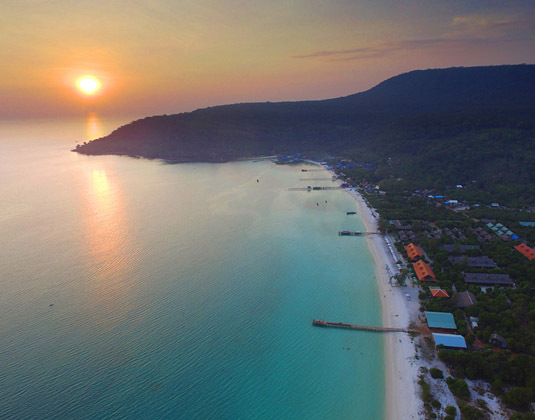 Tucked away on Koh Rong island, this Khmer-style rustic resort is fringed by a stunning shoreline of glorious white sands and turquoise waters brimming with reefs. 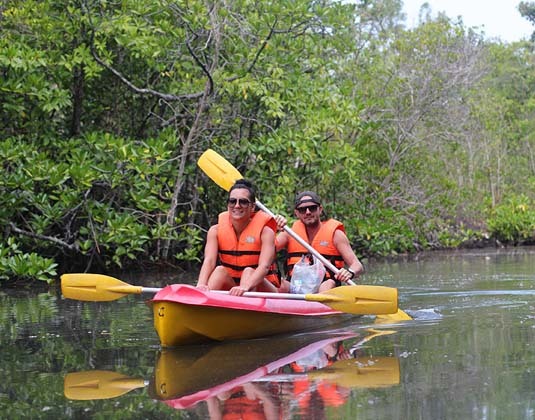 This quiet tropical getaway invites relaxation; however, there's also a wide range of activities allowing you to discover the island on foot and even by helicopter, or perhaps explore the surrounding sea and mangrove river by kayak. 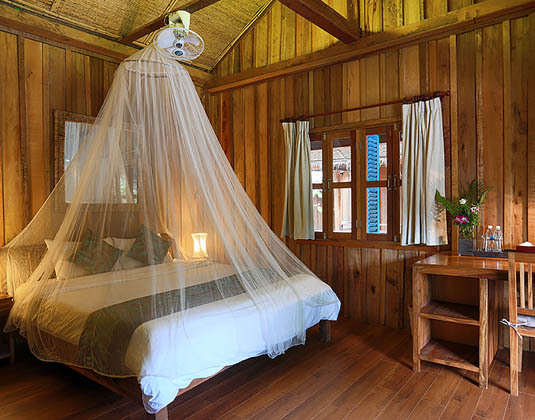 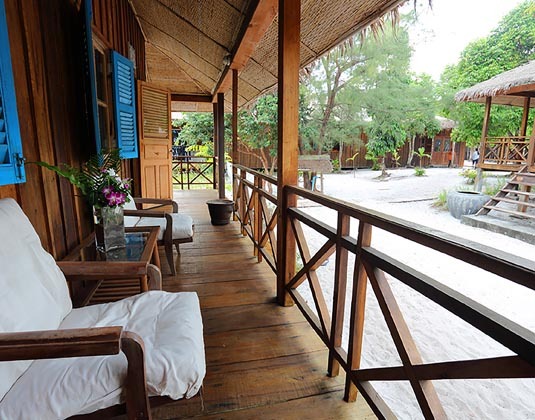 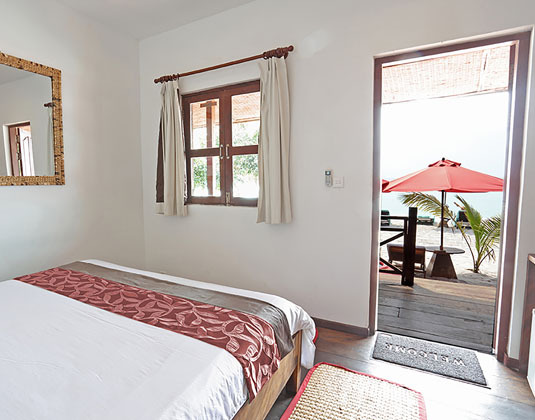 Accommodation options include a variety of comfortable rooms as well as larger chalets while the restaurant entices with both Khmer and western dishes. 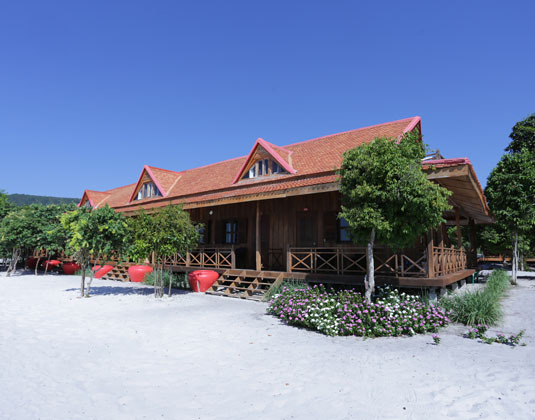 In pavilion garden view rooms with air-conditioning, shower, mini bar, safe and deck. 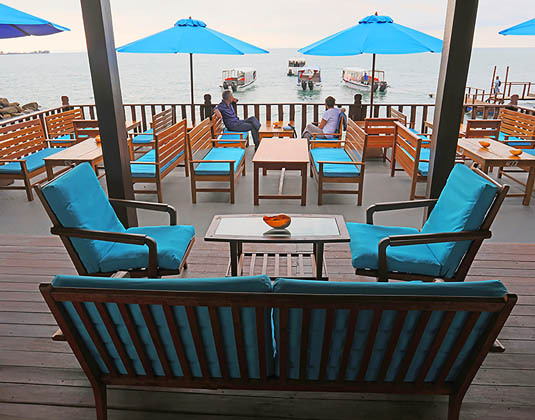 30 minutes from Sihanoukville airport to the port then 45 minutes by boat to the resort.